If you’re on the market to buy an RV of your very own, chances are you’ve already encountered the ABCs of RVing — by which, of course, we mean the many different types, or “classes,” of motorhomes. But although Class B motorhomes may sound like they’re second-best (especially given their truncated footprints), these small but powerful RVs actually have a whole lot to offer the rugged and adventure-ready traveler. 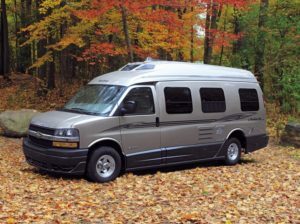 Class B motorhomes are sometimes referred to as “sleeper vans” or “camper vans,” and unlike Class A and Class Cs, they pack all the comforts of home into a standard-sized van. And while that definitely makes for close quarters, it also means your rig has unparalleled flexibility, with the ability to get down even the narrowest unpaved roads without worry (i.e. where some of the very coolest boondocking spots are). Class B motorhomes are also ideal for urban camping in nondescript locations, since they look a whole lot more like a standard vehicle than their Class A and Class C counterparts. Plus, they still have the very best part of motorhome convenience: they’re self-powered and all-inclusive, so all you have to do is put the key in the ignition and get going — and you won’t have any need to tow a secondary vehicle behind you. Whether you’re a solo adventurer, a cozy couple, or even a close-knit family who’s unafraid to share a small space, Class B motorhomes have a whole lot to offer. So we’re going to go into a deep dive on everything you need to know about these unique vehicles right here in this post! We’ve already written in depth about the different types and styles of RV you’re most likely to see out there on the market. But just as a quick refresher, let’s go over the RV classes briefly here, too. Class A RVs are the large, bus-shaped vehicles you likely associate with rock stars and exclusive RV resorts. They run between about 20 and up to over 45 feet in length, and are often outfitted with some of the most luxurious amenities in the business, like full-sized kitchen appliances, bathtubs, washing machines, and more. Most modern Class A RVs come with slide outs that can increase the size of the rig’s living space while parked for camping, and come in a wide variety of footprints, such as rear queen, bunkhouse, and rear kitchen, just to name a few. 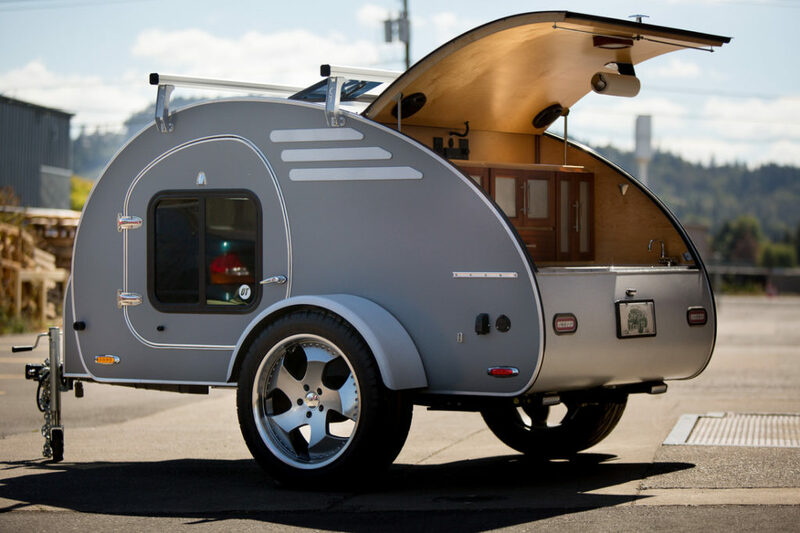 However, these large, tricked-out campers aren’t cheap, nor are they fuel efficient. Some of the highest-end Class As can run as much as a million dollars new off the lot, and most don’t get more than 6-8 miles to the gallon. Class C RVs are a lot like Class As in that they offer all sorts of creature comforts and enough living space that you might even forget you’re in a motorhome when you set up camp. Although they do come in smaller sizes, you can also find large, luxury-packed Class Cs that offer cushy sleeping spaces, easy-to-use kitchen outfits, slide outs, and much more. What sets them apart from their Class A cousins? Their unique body shape, featuring an over-cockpit “attic” area which may be used as a bed or for storage. They’re also built into standard truck chassis, which makes them more approachable for beginner RVers to operate and drive. Class C RVs are a great answer to the camper who wants all of the luxury of the Class A without quite such a steep price tag (though it’s certainly possible to find them for hundreds of thousands of dollars, depending on the make, model, and year). Because of their extra sleeping space, Class Cs are also a great option for a family camping with older children, who would benefit from a little bit of extra privacy. Class B RVs are the star of this post’s show, so we’ll go into lots more detail about them below. But for now, know that they’re a type of small motorhome sometimes also known as a sleeper van or camper van, and don’t offer as much interior living room as their Class A and Class C relatives. However, just because they’re small doesn’t mean they’re not mighty. In fact, in many ways, they offer more flexibility and freedom than other RV styles! Since Class B RVs are built into standard van chassis, they’re easier to operate for most drivers, and you don’t have to worry so much about getting stuck if you venture down a narrow or unpaved road. 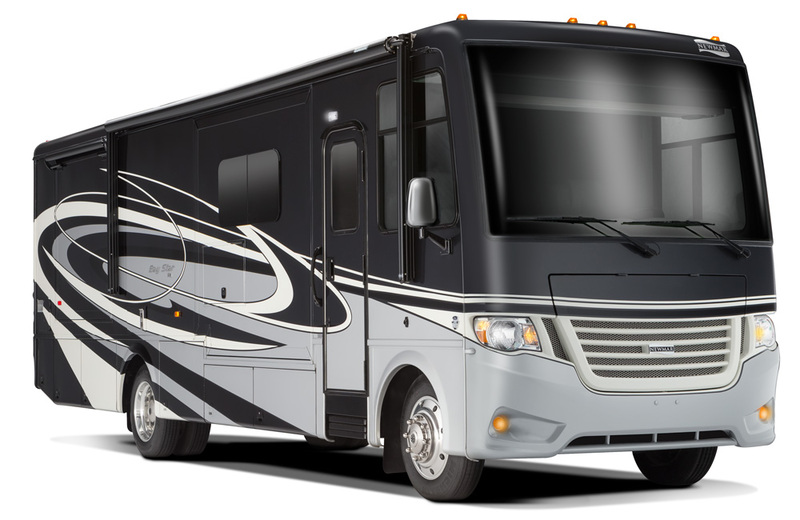 Class B RVs come at a wide range of price points, including some high-end models at well over a hundred thousand dollars. Although that might sound like a lot for such a small vehicle, these RVs are of the highest quality, and that extends to their engines as well as their interior fixtures. Although you won’t have a full-sized kitchen or a sprawling queen-sized bed, every item inside the Class B rig is made for efficiency, so you know you aren’t wasting a single inch of space (or a single pound of weight). That makes getting outside into those really adventurous camping areas much more possible, and also makes camping more accessible for a solo traveler (or a very cozy couple). For more information on each different class of RV, click here. But for now, let’s talk about the Class B RV in more depth. 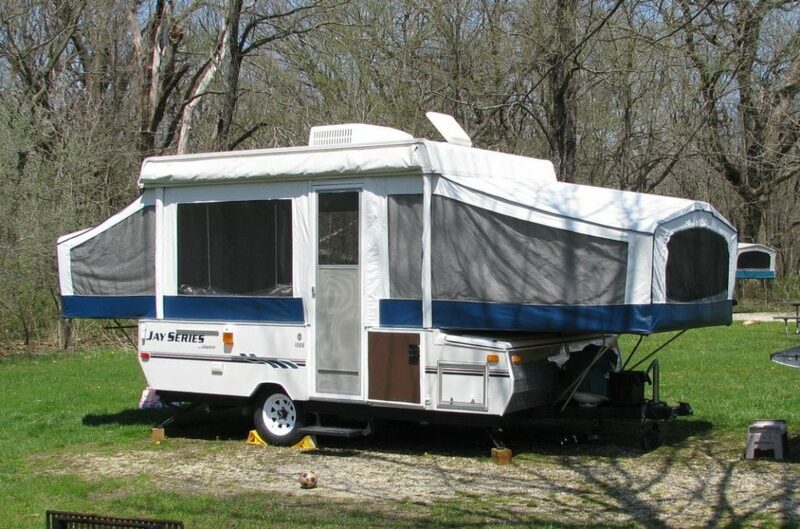 Class B RV Size: Good Things Come in Small Packages! Perhaps the most notable attribute of a Class B van is its size relative to other motorhome options. Unlike Class A and Class C rigs, these motorhomes are able to pack a lot of creature comforts into a teeny-tiny footprint, often no bigger than a standard van. Some Class B RVs have extended ceilings so as to facilitate being able to stand up fully while inside the rig (as a normal van may not afford this ability to tall, or even average-sized, travelers). 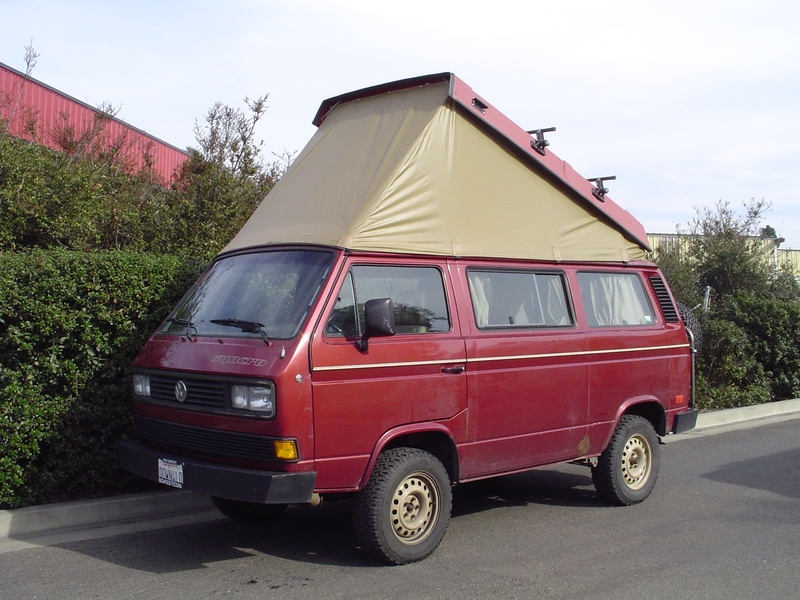 You may also be familiar with the little “pop-up” ceilings in converted Westfalia vans, like the one pictured below. Although their size is a relative constant, Class B RVs come with a wide variety of different features and are made by a large number of manufacturers, ranging across the scale of price and quality. For instance, tiny Volkswagen camper vans fit the Class B category, but so do the tricked-out, Mercedes-based Class B RV Sprinters, one of the best brands of Class B motorhomes on the market. But let’s back up a little bit. 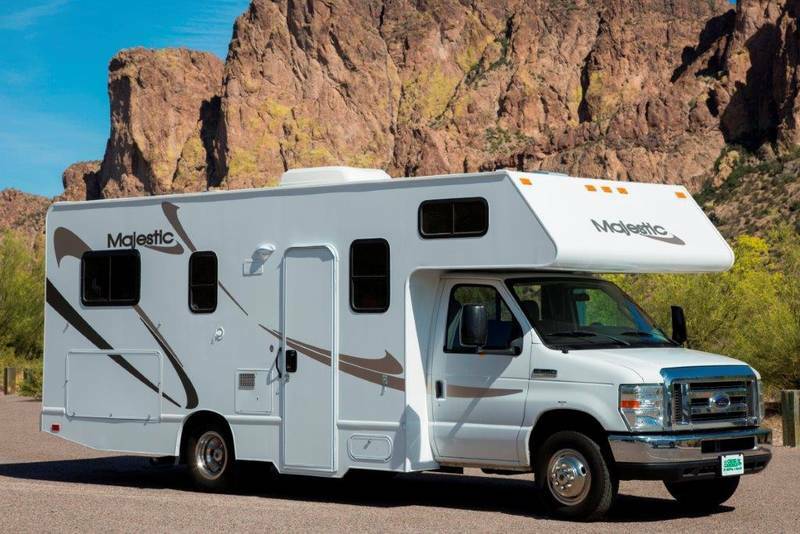 What are the main stats and characteristics of a Class B RV? Although size can vary, Class B RVs tend to be between about 17 to 19 feet in length, with a standard width and height matching that of other road vans. They may weigh between 6,000 and 8,000 pounds, and may have slide-outs or extended ceilings in order to increase interior living space and comfort. There is also a sub-class known as “Super B” or “B+,” which looks a bit like a hybrid between a Class B and Class C motorhome. These “B+” vehicles may offer more headroom, storage, and living space, while still keeping most of the benefits of a very small recreational vehicle, such as fuel efficiency and ease of use. Class B RVs can sleep a surprising number of passengers in their small footprints, though, again, you need to make sure you’re comfortable with your camping party. Regular Class Bs often have sleeping spaces for as many as four adults, and B+ or “Super B”s may sleep as many as six. Make no mistake about it: a Class B RV’s small space makes for tight quarters, even with a very small camping party. Those sleeping surfaces we’re talking about are often shared, so you’ll want to be sure everyone involved is comfortable with that arrangement before you commit to purchasing this kind of vehicle! But many adventurers favor these small rigs thanks to their flexibility, ease of use, and simple, all-contained travel style. After all, part of the draw of RVing for many of us, in the first place, is its compatibility with a minimalist lifestyle. So if you’re going to take the challenge to see how little you can get by on, why not take it all the way? Although the exact mileage your Class B motorhome will get will vary widely based on make, model, and age, it’s not unheard of for some newer, lightweight vans to get as much as 25 miles to the gallon — which is better than a lot of standard vehicles! Even on the low end, Class B RVs will probably get 10-12 miles to the gallon, which is still a whole lot better than 4-6. To see how much of a difference this seemingly small difference can make, let’s use an example. Say you want to travel to Yellowstone National Park from Salt Lake City, Utah, a drive of about 350 miles. Let’s say gas costs $3 per gallon, which may be high or low depending on current market prices. If your RV gets 6 miles to the gallon, that means you’ll spend $175 on gas — just in one direction. If, on the other hand, you drive a Class B that gets, say, 15 miles to the gallon, that price goes down to just $70. That’s less than half the cost… and that’s not even the most fuel-efficient type of Class B on the market! Class Bs come from many different manufacturers, and the class also includes converted vehicles that were originally built as regular passenger vans. A couple of the most famous Class B models include the Sprinter Class B, which is built into a Mercedes van. These rigs have high-quality engines and are stocked with some of the most luxurious (if small) amenities in the business — all of which we’ll get into in more depth in the next section. Suffice it to say, however, that these rigs can sell for upwards of $50,000, despite their small size, and it’s definitely possible to find them available at higher prices than their larger counterparts. 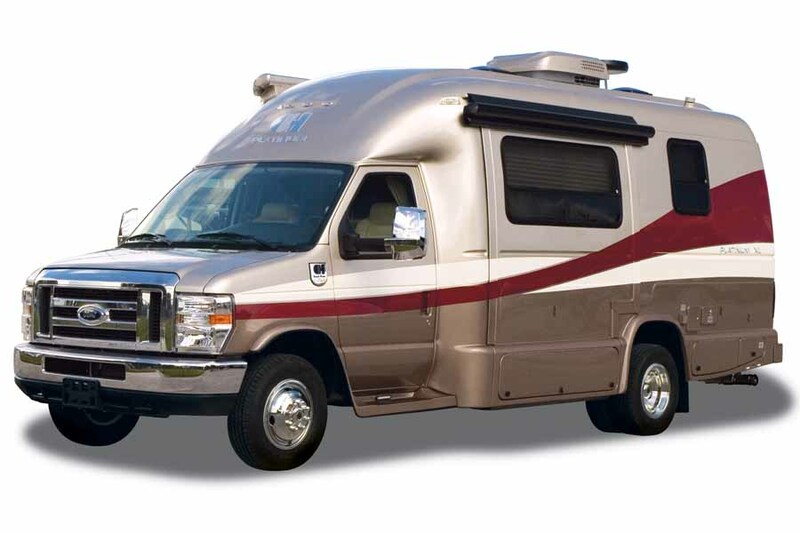 They’re considered to be one of the best Class B RV models available. Now, for what makes Class Bs such a unique solution to the problem of wanting to upgrade your camping game without sacrificing the ease and rugged-readiness of a regular car. Despite their small size, Class B RVs offer some incredible luxuries that can make camping feel like anything but roughing it. 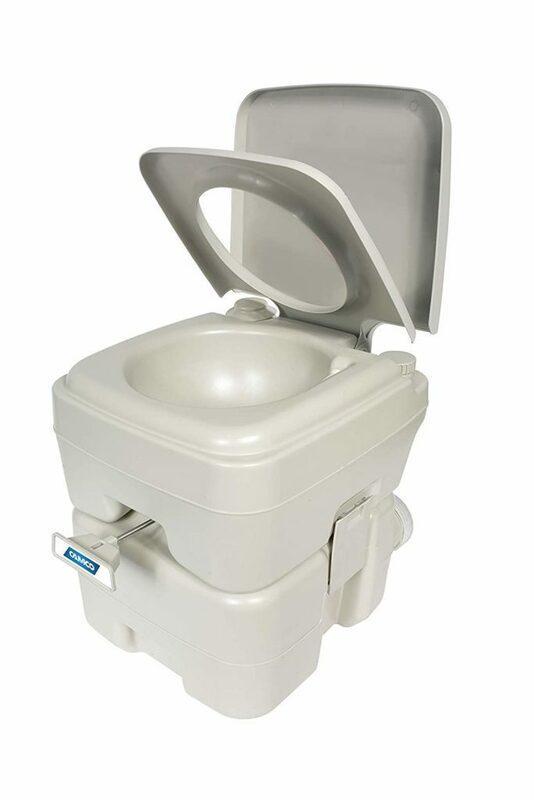 Many modern models come complete with fully-functioning kitchenettes, toilet facilities, and even showers, though these may be built into a multi-use wet/dry bathroom cabinet. In fact, that’s a common feature across all Class B amenities — since there’s not very much room to work with, they prioritize efficiency. This means that most everything inside your Class B motorhome will serve at least two functions. For instance, your sleeping area may also function as a couch or settee during the day, and your dining area may fold out into a sleeping surface. And while a Class B motorhome may have functioning kitchen appliances, you’re unlikely to find one equipped with a full-sized refrigerator, oven, or stove. There’s simply not room! However, the amenities that are present are frequently of extremely high quality. We’re talking genuine leather upholstery, cushy bucket seats, modern chrome kitchen outfitting, and more. Upscale Class B RVs also frequently feature slide-outs and other room-extending technology to make their living spaces more comfortable when you’re set up for camp. High-end Class Bs also come equipped with all the basics for getting off the grid and self-contained boondocking, such as fresh- and waste-water holding tanks and generators. Furthermore, these rigs are well suited to dispersed camping, since they’re small and easy to maneuver into wilderness areas. They’re also easy to wire for solar, since they don’t need to draw very much power! On the other end of the spectrum, small converted vans and pop-up sleeper vans may not offer all of these amenities. Sometimes they don’t come with much more than a driving area and a bed, which means campers will need to outsource bathroom use and cooking functions. However, given that many campgrounds offer bathhouses and on-site grill areas, this isn’t usually a very serious obstacle. You can also purchase portable camp toilets and barbecues if you won’t be staying in a developed campground. All told, the miniaturization and dual-use nature of Class B RV amenities doesn’t make them any less comfortable, useful, or luxurious. In fact, for those who prioritize getting outside and adventuring during their camping trip, such a small space can be a better solution than an oversized motorhome, which limits functionality and off-road abilities. Class B vs. Class C: Which is Right for Your Family? If you’ll be traveling with a family, you may be wondering which is the better option for you between Class B and Class C motorhomes. Both afford plenty of luxury amenities at a price that’s (usually) less than their larger Class A counterparts. Whether a Class B or Class C rig makes more sense for you and your camping party depends on a variety of factors, all of which come down to your personal camping style. For example, is your family one that prioritizes outdoor adventure and spends relatively little time cooped up inside your rig? Are you more prone to head to a wilderness campsite for some boondocking than to hit a resort-style developed campground with every amenity? If so, a Class B might make a lot of sense for you, even if you’re camping with children. Their small footprint means you won’t have much room inside, but if you’re not spending much time inside anyway, that shouldn’t be a problem. 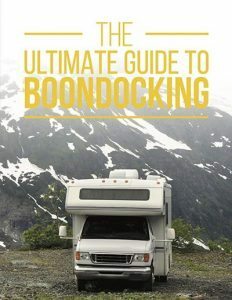 Plus, you’ll have more ability to get out to those truly remote wilderness campsites you’re after, whereas with a larger rig, you’d have to consider whether or not you’d be able to turn around or get back out if your boondocking spot requires navigating a narrow or unpaved roadway. On the other hand, maybe you and your family do enjoy the kind of camping that feels as if you never left home, and you plan to spend equal amounts of your time enjoying your destination, but also cozying up on your camper couch in front of a TV show or movie. Or maybe your family includes an older child who could benefit from a little bit of extra privacy, or otherwise includes members who don’t necessarily want to share such close spaces. Maybe you’re a gourmand who wants to be able to cook complex meals no matter where the road takes you — or maybe you’re considering ditching your sticks-and-bricks house to take to the RV lifestyle full time. If any of these descriptions fit your scenario, a Class C rig, or perhaps even a Class A, may make more sense for you. You’ll have more room to spread out and make sure that everybody on board feels like they have a little bit of privacy. Fully-equipped kitchen and bathroom facilities will make your camping trip more comfortable and convenient, and you’ll have lots of extra storage for your cooking gear — or any serious outdoor adventure gear you might want to bring along, like bicycles, kayaks, or skis. And in some cases, Class C motorhomes may actually be less expensive than Class Bs, all while offering an undeniably superior amount of legroom and comfort. 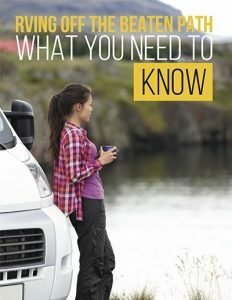 In any case, below, find a short summary of the main differences between Class B and Class C motorhomes to help you get an overview of which might better fit your specific camping needs. If you’re interested in small Class B RVs but not quite sure they’re the right fit for you and your family, there are many other types of small motorhomes to consider. Many of these are towed RVs, which give you the added bonus of having a built-in “breakaway” vehicle, as well as affording extra living space since these rigs don’t have to devote any room to an engine, chassis, or driving area. Pop-up campers are the first foray into the RVing world for many, and they’re a good alternative to Class B motorhomes if you already have a capable tow vehicle and are looking for a camper that affords a little bit more space. With their canvas sides and easy storage size, they combine the flexibility of being towable behind even SUVs and some large sedans with an upgraded camping experience that still allows you to experience the great outdoors up close and personal. Teardrop trailers are even smaller towable RVs, which feature little more than a bed and a trunk-like rear compartment that’s often outfitted with basic outdoor kitchen facilities or storage. These very small RVs do require outsourcing bathroom functions, but can be an amazing way to spend a long weekend, especially for a romantic getaway. From lightweight travel trailers to converted vans and more, there are lots of small RVs you can try out which make for a great introduction to the camping lifestyle. 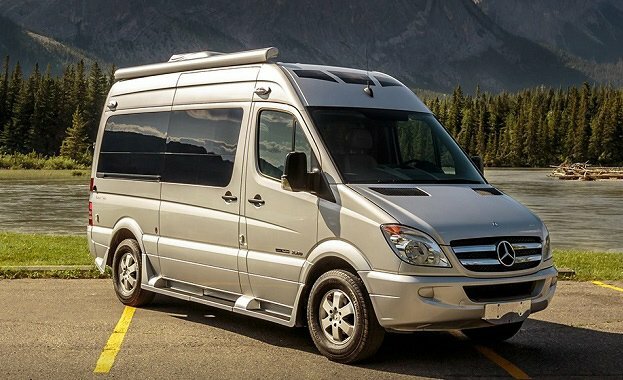 For more information on these uniquely flexible, convenient, and accessible vehicles, check out our guide to small RVs here. If you’re seriously considering purchasing a Class B RV — or any RV, for that matter — the best first step to take is to explore as many different types and styles of RV as possible. That way, you’ll have the best understanding of which kinds of rigs fit your camping style and preferences. One of our favorite suggestions for campers on the market to purchase an RV of their own is to attend an RV show, which gives you the opportunity to walk through and explore a large number of rigs in a very small period of time, all while introducing you to a large number of RV dealers in your area. You’ll be able to get a sense both of the types of rV that most interest you, as well as which dealerships you feel most comfortable with and with whom you’d like to create a business relationship. Click here to check out our archive of RV expos, shows, and event listed by state. However, even the best walkthrough in the world doesn’t get you the kind of insight that taking an actual camping trip in your prospective RV style does. So if you’re really interested in buying a Class B camper, renting one and taking a trip is a great idea. “But where can I find Class B rentals near me?” you may be wondering. Many traditional RV rental agencies deal exclusively with larger Class C and Class A motorhomes. Renting on the peer-to-peer market gives you a unique opportunity to explore many different “non-traditional” RV styles, including Class B rigs. Since the only limit on what’s listed is what kinds of RVs the owners in your area have decided on, chances are you’ll find everything from pop-ups to converted busses and more. You might even find a luxury Sprinter rental, all at much better prices than you’d get at a big, faceless corporation. Then, once you’re ready to buy a Class B RV, you can search for Class B RV dealers in your area, or scan RVtrader and other sources for used Class B RVs. Either way, just be sure you vet the vehicle thoroughly before you actually sign anything — here’s our list of what to ask your seller when you’re considering making a purchase.